I generally ignore pop culture. It is almost completely controlled propaganda from the Powers That Shouldn’t Be. 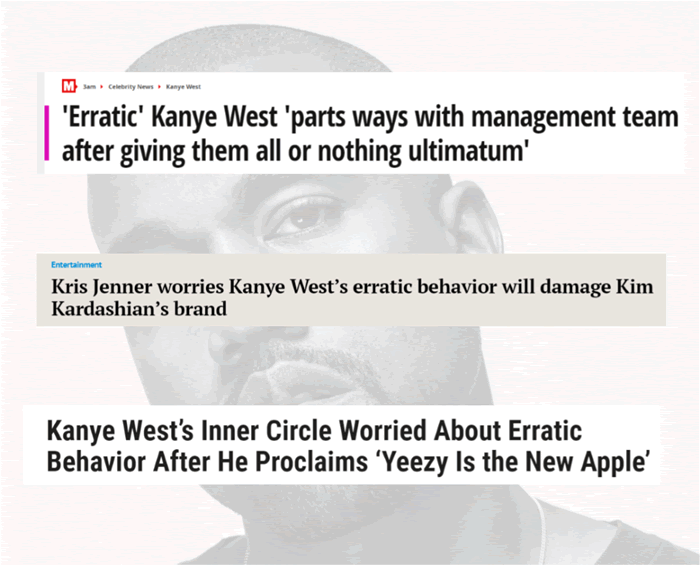 Most recently, Kanye seemed to “lose it” during a concert performance and was taken offstage and then put into a mental facility where he was likely reprogrammed. But, it doesn’t seem to have fully worked. And, yes, a lot of what he says is pretty out there… but he is saying enough truth that the mainstream media are claiming he must be going crazy. 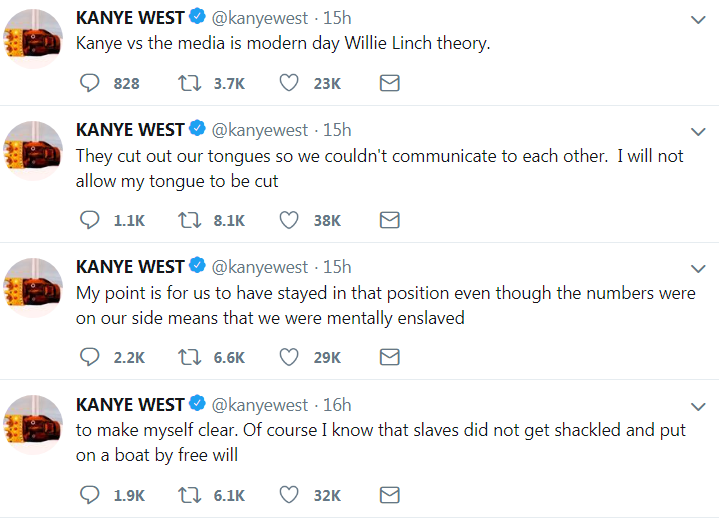 While the hip-hop legend’s rants and ramblings tend to come off a bit unhinged, I agree completely with his comments on slavery. The truth is, putting Tubman (an anti-slavery icon) on a Federal Reserve Note (instruments of modern-day debt slavery) is the type of twisted irony we’ve come to expect from the government. Soon after, Twitter was inundated with #IfSlaveryWasAChoice, completely missing the rap star’s point. The King of Controversy probably just sees himself as the next Celebrity-in-Chief to sit on the throne, though someone ought to remind him, no one man should have all that power. But as insensitive and provocative as his words may sound, they do offer some insight about the current state of life for most people across the world. If 100% tax is slavery, then at what percent are you not a slave? I’ll give you a hint. Zero. Indeed, by the time involuntary servitude was fully banned and the official law of the land began favoring more equality, the creation of the Federal Reserve by elite bankers in 1913 would mark a new era in human enslavement---instead this time the chains did not rest heavy on people’s necks, but more on our minds. Because no matter how draining and oppressive the state is---and trust me, it is---at the end of the day, most of society chooses to believe in and support the very same governments that extort us, bomb our fellow humans, and micromanage our lives. It’s a syndrome that most people still have today. Stockholm Syndrome. We outnumber the politicians, warlords, and enforcers by at least 100 to 1, yet a majority of “we the people” still live on tax farms as nominally 'free range' humans rather than taking any initiative to free ourselves from our oppressors. 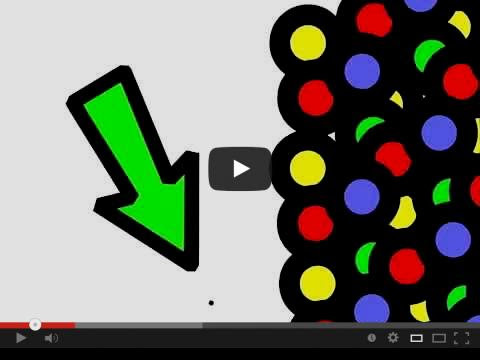 Larken Rose made this point perfectly with his video, The Tiny Dot. The capstone on a pyramid remains elevated because of the obediently steadfast stones underneath it. How difficult would it be to topple that “all-seeing eye”? The stones beneath outnumber it by many orders of magnitude---so what’s stopping us? It’s not about a bloody revolution, it’s about opting out of centralized coercive systems, taking responsibility for our lives, and embracing the future. Kanye is actually touching upon a truth so deep and subtle that most of us barely even notice its value. And although Mr. West himself may not yet understand the true nature of the state, he’s already been red-pilled on cryptocurrency. A cultural shift is occurring that reflects a collective mental shift---we’ve seen it everywhere from the wild success of bitcoin to the exponentially-growing audiences attending our annual Anarchapulco conference---people are hungry for the truth, and the truth is out there, if you’re ready to seek it. Thanks to bold thought leaders like Dr. Ron Paul, G. Edward Griffin, Larken Rose--and yes, even Kanye West---maybe we’re moving closer to a more free and prosperous world for all, despite those in power who wish to keep us enslaved. Three of those free-thinkers are already confirmed to speak again at Anarchapulco: the world’s largest and most popular voluntaryist conference where you can stay on the cutting edge of freedom and be part of the movement to eradicate mental slavery. And Kanye West has an open invite. Anarchapulco is only going to be harder, better, faster and stronger in 2019. Tickets are now on sale, so if you’re interested in connecting with fellow truth-seekers and hearing from the brightest minds of our generation, you may want to reserve your seat, available now for a discounted price until May 31st. It may even sell out before then. Speak your truth, Yeezus, no matter what it may be. We need more people to step up and speak out freely. It can seem like people are going a bit crazy when they begin to speak their truths. That’s because we are programmed not to speak them. When you do, you can feel and even appear to be “unstable”. To the rest of the brainwashed slaves who are still fully programmed, the truth does sound crazy. I’ve even had a few moments in the last year, including last weekend, where I felt like I was “losing it” a bit, and ended up returning home from a trip early to get grounded again. Sure, Kanye may be off base on quite a few things. But, that is how you find out what’s real. You say what you think and let people determine if your arguments are sound or not. The government indoctrination camps, called “schools”, where nearly everyone is sent for 12 years of state-sponsored programming, are meant to keep us in a tightly controlled box and narrative. The mainstream media and propaganda movies produced by Hollywood serve the same purpose. We support anyone breaking out of the controlled narrative and standing up for what they believe. 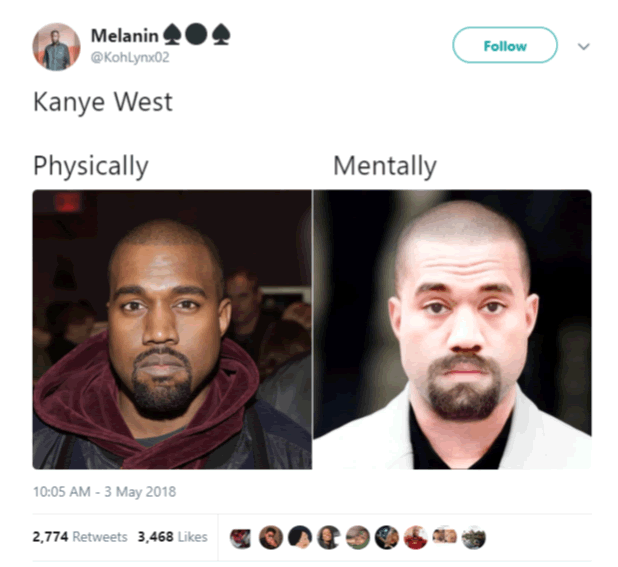 Keep spitting those flames, Ye.